The Delhi High Court’s division bench comprising Justice Pradeep Nandrajog and Justice Pratibha Rani in Indian Hotels Company Ltd (IHCL) vs. New Delhi Municipal Council (NDMC) has dismissed the plea of IHCL for a permanent injunction against public auction of Taj Mansingh Hotel. According to the collaboration agreement, the NDMC bore the cost for construction of the building while the cost for furnishing and equipping the hotel building to make it fit for running a five-star hotel and landscaping surrounding the hotel building was to be borne by IHCL. The NDMC granted a licence to IHCL to operate the hotel for 33 years from the date of the first paying guest occupying the hotel (October 10, 1978). Upon expiry, a renewal was granted after a revised licence fee schedule by the NDMC to IHCL. While this was underway, representatives of the Ministry of Urban Development (MoUD) advised NDMC to invite open bids by way of licence to operate the hotel with IHCL to be given a first right of refusal to match the highest bid. The NDMC informed IHCL that its council had decided auction the property with right of first refusal to be that of IHCL. 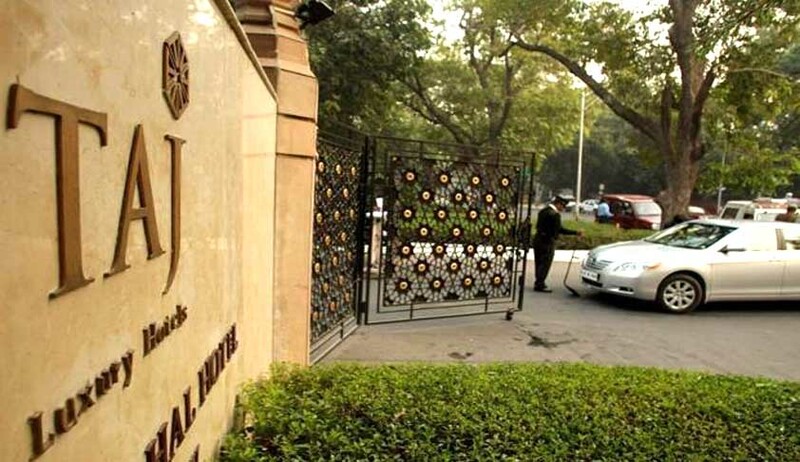 However, the IHCL filed seeking a decree of permanent injunction restraining the NDMC from interfering with the possession, right to operate, run and maintain the hotel premises at 1 Man Singh Road, New Delhi, as well as a permanent injunction restraining the NDMC from conducting a public auction for running, operating and maintaining the hotel premises. The Ministry of Home Affairs Government of India, meanwhile, issued directions to NDMC directing that the public auction should be sans the right of first refusal to IHCL; for such a right of first refusal would not fetch the best offer. The IHCL challenged this communication as well. In total, IHCL was granted extensions nine times post expiry since the deed became operational in 1978. The IHCL, represented by Sr. Advocate Mr. Harish Salve, submitted that the collaboration resulted in a ‘joint venture’ and when any party contributes assets to a joint venture with the motive of earning common and mutual profit, such property assumes the character of a joint venture property, giving rise to rights in the property in favour of all the parties in the joint venture. However, the court observed after perusal of agreements that the agreement didn’t amount to a ‘joint venture’. The court further held that renewal clauses in question before the court did not provide the licencees with any vested right to claim extension/renewal and held that extension of the period of licence would be at the sole discretion of the licensor subject to the condition that the licencee makes an application seeking an extension 60 days prior to the expiry of licence. The high court said unless there is a social or a welfare purpose or any other public interest which is served an asset held for the benefit of the public, if commercially exploited, it should be by way of an auction or an open competitive bidding because it would then fetch the maximum revenue. The Delhi High Crout dismissed the petition of IHCL saying "to put it pithily, IHCL (which runs the hotel) has no right under the licence for a renewal thereof and therefore no further issue needs to be considered and decided" and directed NDMC to go ahead with the public auction. Aggrieved by the High Court’s decision, IHCL had decided to move the Supreme Court with its plea for a permanent injunction against the public auctioning and for extension of lease period, according to a statement made to the BSE, The Economic Times reported.